In a solid where the time-reversal symmetry and space-inversion symmetry are preserved, electrons with up spin and down spin are degenerate. 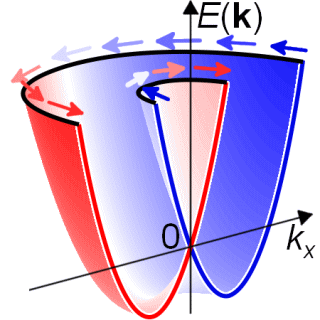 Once the space-inversion symmetry is broken, the spin degeneracy will be lifted due to the spin-orbit coupling. Such peculiar electron system is expected to be applied to the spintronics devices and also provide a platform for the novel electro-magnetic cooperative phenomena. K. Ishizaka, et al., Nature Materials 10, 521-526 (2011). M. Sakano, et al., Phys. Rev. B 86, 085204 (2012). M. Sakano, et al., Phys. Rev. Lett. 110, 107204 (2013). 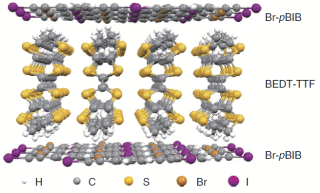 R.Suzuki, M. Sakano et al., Nature Nanotechnology 9, 611-617(2014). Topological insulators exhibit a metallic behavior at the surface in contrast to the insulating nature in the bulk. Such electrons at the surface is called “Dirac electrons” , namely spin-polarized mass-less electrons. Topological insulators attracts much attention owing to the application to the micro power electronic device and quantum computers. A. Ohtomo and H. Y. Hwang, Nature 427, 423 (2004). Electronics using the metallic oxides is expected to realize the higher performance electronic devices. Hetero-junction interfaces made from the oxides and the two-dimensional electron system induced by field effect transistor have been extensively investigated. Several fascinating phenomena such as, superconductivity and magnetic order in the two-dimensional system, fractional quantum hall effect, giant thermoelectric effect and Rashba spin splitting have been reported so far. S. Kasahara et al., PRB 81, 184519 (2010). Iron-based superconductors exhibit superconducting transition temperature (Tc) up to 55 K and are the second candidate of the room temperature superconductors next to the copper oxides. Recent researches reveal that both spin and orbital degrees of freedoms play important role on the high-Tc superconductivity in this system. Our group is investigating the electronic properties in the normal state, such as pseudogap, orbital ordering and electronic nematic state. 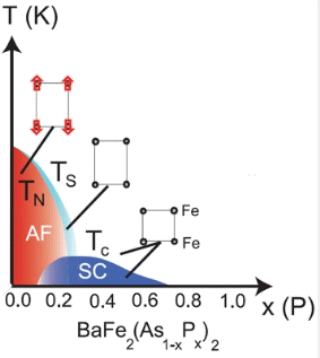 T. Shimojima, et al., Phys Rev. B 89, 045101 (2014). T. Kiss, et al., Nature Communications, 3, 1089 (2012). Molecular crystals possess quasi-one/two dimensional electronic structure due to the anisotropic overlap of the molecules. 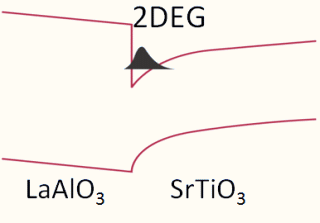 Intra-molecular degrees of freedom and softness owing to the molecular bonding are the interesting properties distinct from the inorganic materials. Our group is investigating the electronic structure of the two-dimensional molecular crystals showing the Tomonaga-Luttinger liquid behavior and spin/charge density waves. 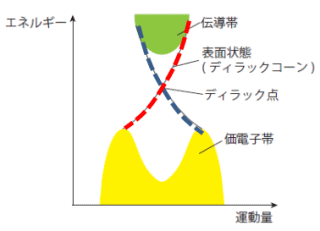 Copyright © Ishizaka Group, Department of Applied Physics and Quantum-Phase Electronics Center, The University of Tokyo. All rights reserved.